The Protomorph, not an official title given to the Alien seen in Alien: Covenant's most recent trailers, has been described as a Xenomorph by fans across the forums and social media constantly. However, this Alien is not the same species as the one seen in Scott's original ALIEN. This article will explain why that is. Since Alien: Covenant began production, information leaked about the film's primary monsters. Two of which have now been shown in trailers and promotional material for the film. Although Ridley Scott did say Covenant would introduce us to the Facehugger, Chestburster and "Big Boy", at no point was this Alien referred to as the same Alien from the original. Instead, Scott's comments explained that Covenant would take us in the back door of the franchise and explain where the Alien and Space Jockey ship came from. The point of Alien: Covenant, according to Scott is to explain who would create such a thing (the Alien) and why. The iconic Xenomorph from Alien had a very distinct appearance. It was tall, very biomechanical and moved elegantly, swiftly and menacingly. It possessed 4 tubes which extruded from its back, as well as a spinal protrusion beneath the elongated skull. What many believe/believed to be the Xenomorph in the latest Alien: Covenant Trailer may look like the Xenomorph at first glance, but upon studying its movements and aesthetic, we are able to notice some definite aspects which set it apart from the iconic Xeno. 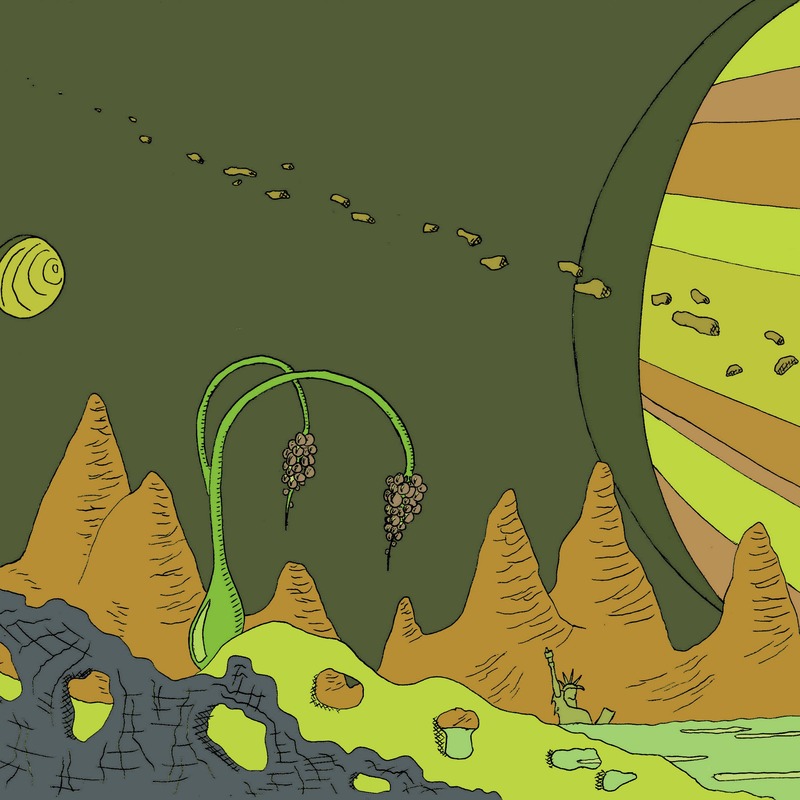 Right away, many noticed how smooth and organic this Alien looks. 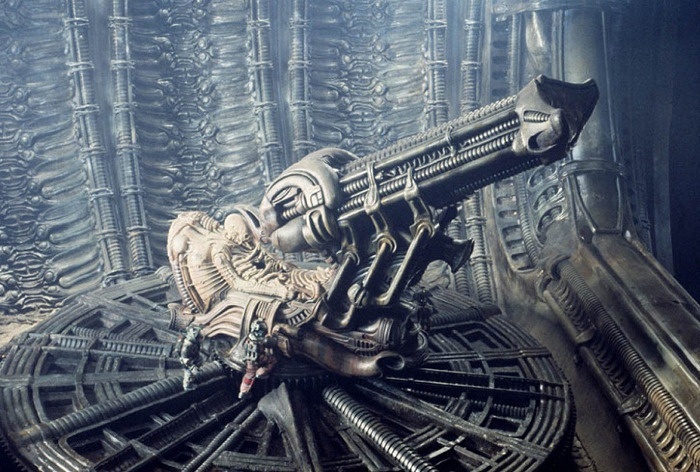 It lacks the biomechanical wiring aesthetic and rigid design accents the Xenomorph is known for. Although it looks to have somewhat of an exoskeleton and some aspects remain similar, overall this Alien has a very different outwards appearance. The limbs, fingers and rib cage look to be covered in a smooth skin. Now, considering these Aliens shed exoskeleton layers, much like insects the Protomorph may have just shed its cocoon and is still "soft" while the new exoskeleton has time to harden. This is a totally plausible explanation for why it looks the way it does. 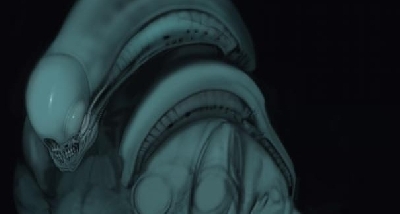 However, when we even compare the mouth of the Xenomorph with the Protomorph we can notice differences between them. Again, the Xenomorph has extremely narrow and pointy canines, as well as a translucent lip. Let's also not forget that second jaw. The Protomorph seems to have a rather Human looking set of teeth, with no evidence of such a lip. 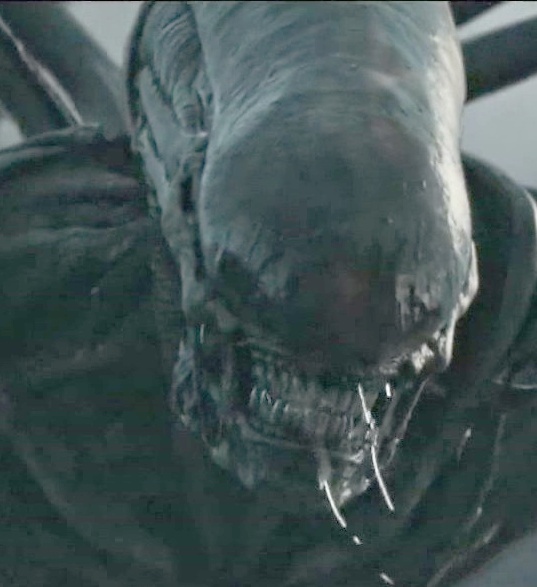 We also have yet to see the infamous second jaw come out of Covenant's new Alien. 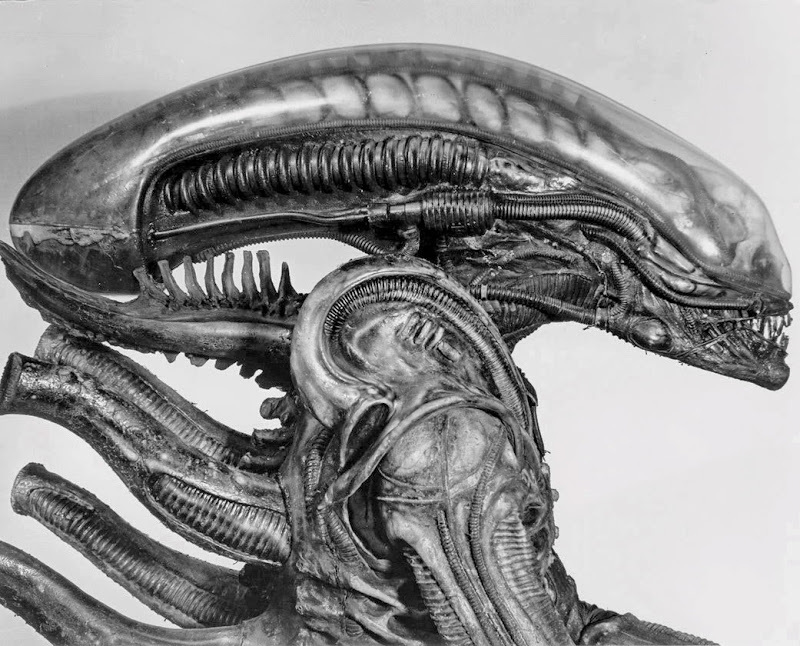 The face and cranium of the new Protomorph also lack the biomechanical detailing of its Xenomorph cousin. Finally, the behavior of the Protomorph is completely opposite to that of the Xenomorph. The Xenomorph is ominous and relatively slow by comparison. It stalks its prey, toys with them, admires them before brutally killing them. This Protomorph is more animalistic and spastic, much like the Neomorphs. 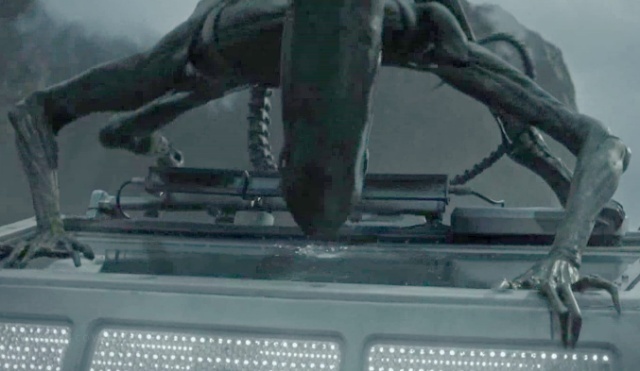 Pair the obvious aesthetic differences with the completely opposite behavioral patterns we've witnessed in the latest trailer and we can deduce that the Alien shown in the latest trailer is NOT a Xenomorph, or at least it's not THE Xenomorph we were expecting. Why reveal the film's biggest surprise? As a side note it seems odd that Ridley Scott and Fox would blatantly show the beast in all its glory by the second trailer. 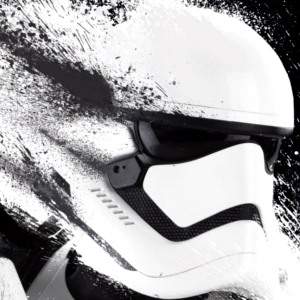 That would be like J.J. Abrams showing the Luke Skywalker scene from The Force Awakens during its second trailer. It would completely ruin the surprise and leave fans with little mystery going in. I don't know about the new protomorph yet but I got the idea that the white alien is an experiment from David that involve Dr Shaw. A pro-alien-experiment if you like. I believe this Alien is the start of the "perfect organism". It has not been perfected but we are seeing in its primal stage as said above. It is more organic and animal like in its characteristics. Wild and not as the Alien in 79. 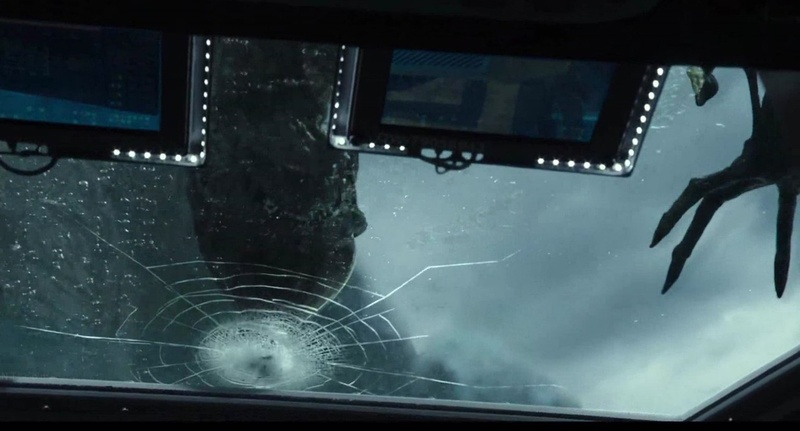 I believe in the next film that will bridge the gaps into Alien 79 will reveal the iconic creature. The human teeth is something i haven't noticed yet.That reinforces a theory of mine. me think also that it does not have the inner teeth like the xenomorph and bites and chews its prey like a wild dog,lion or wolf, it could just have a tongue like any other creature. I'm still agnostic about the Xeno we see in the trailer, but I don't buy completely in your thesis, Chris. It's true that, except for the facehugger and the chestbuster, we don't see much fast behaviour from the Alien's Xenomorph. But this is probably a consequence of a small budget and the heavy weight of the suit covering Bolaji Badejo. In Aliens, the xenos were much more quick, as in the following movies. it's also a known fact that the xenos changed a little bit between one movie and another. Maybe this one is only a new esthetic choice. 1. 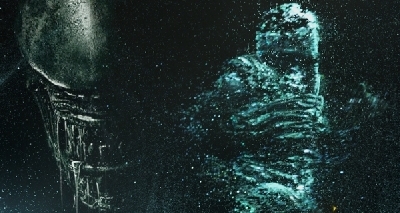 I saw Backburster in the 1st trailer which becomes Neomorph. 2. I didn't see Throat burster but i assume that it will become Protomorph. 3. I did see Chestburster in the 2nd trailer. It bursts from Oram( Billy Crudup)'s chest. I say it is Xenomorph. As Ripley once asked: "who's laying these eggs?" Personally, I would love to see the queen Neomorph/Protomorph. Or how they are laid. Oh, and I saw the preview on the big screen, epic! The "protomorph" also looks to have four fingers to a hand, whereas Kane's son has 6 to a hand. I do wonder if revealing the "protomorph" will be as big a blunder as revealing John Connor in Terminator: Genisys. 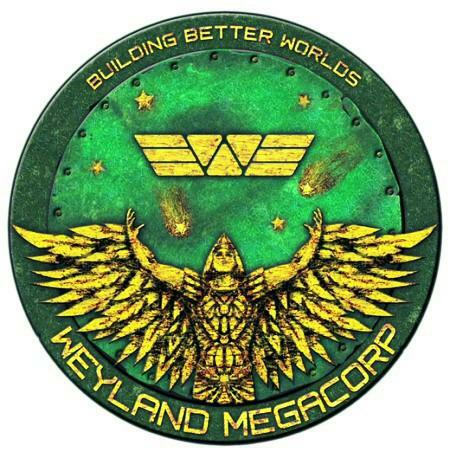 Regarding the reveal of the protomorph, I very much doubt Ridley Scott had anything to do with that. 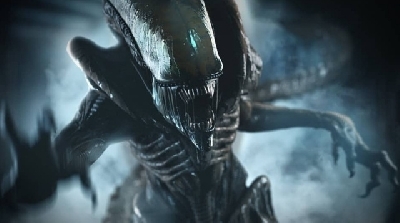 It's probably the studio that wanted the alien revealed, to reassure some fans that this is indeed an alien movie. There is a drawing in the "lab" of a flying creature that looked half bird/insect on the wall behind the plastinated cadaver. The creatures legs and wings look like the spines on the back of the protomorph. Perhaps the drawning can also explain why the neo/proto both mostly run on all fours as well. Did not seem like many people noticed this drawing? 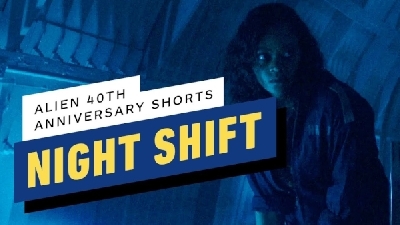 "I speculate that the Protomorph and Neomorph reveals are meant to keep is thrown off something bigger... Something more terrifying which they have kept secret and will not reveal at all throughout the film's marketing. Something truly Alien..."
I really like this prospect and hope Ridley has an exciting surprise for us. 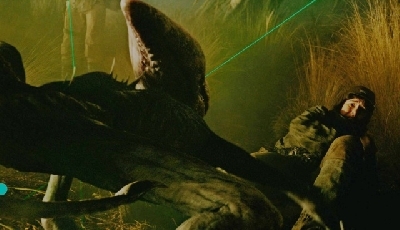 Weren't there supposed to be 3 creatures in the film? This Protomorph looks somewhat like the Alien 3 Runner. 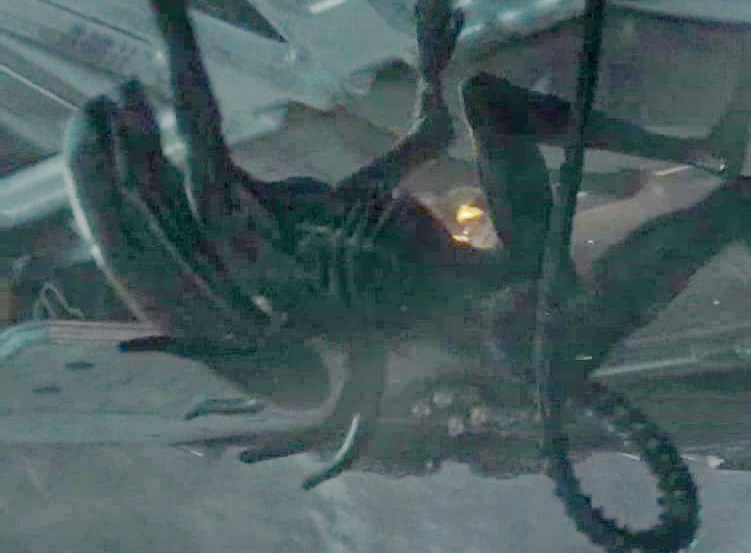 It seems like it has a skeleton and muscles and is covered with a "skin" (not that dissimilar to the Deacon in that respect) whereas the Xenomorph looks like it has parts that look like the Engineer suit as well as biomechanical bits. I agree with Chris that there is more to be revealed, why show the money shots in the trailers. I think there could be two more creations? I also concur with the distinct differences, with the beast revealed in the trailer being far more organic looking, despite being ' fresh from the chest'! From what I can see in the trailers up to three crew may get hugged, producing different outcomes? From the shower scene it looks like will get to see a second jaw? I agree with almost everything except the name which if you read is not yet confirmed. A lean figure in a black leotard is carefully fitted with a new ribbed body. Then a long slippery head inspired by a goblin shark. Still wearing his Nike runners, he climbs onto a high bench to be fitted with two long spindly legs supported by Oscar Pistorius style blades. The Protomorph is the organic, natural version of the xenomorph notice the lack of tubing (that's right, there is no tubing), the asymmetrical, non metallic teeth, the spikes on it's back (they aren't dorsal tubes I have looked at the trailer pausing non-stop to try to prove myself wrong. ), the lack of connecting hose from it's back to it's lower jaw, smaller 'shoulder guards', if you look at the dome on it's head, it's not smooth there are indentations here and there, and most of all based on it's actions it lacks Pharyngeal jaws. It does come from the Facehugger we see in the trailer. Who are the Engineers? Where do or did they come from? How did they build those ships we have seen? I hear that we soon will know who or what was the Space Jockey. 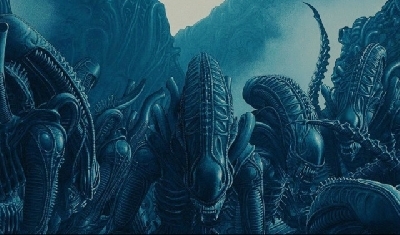 Too me I see the Engineers as more of an Alien than the Xenomorphs and all those like them.. I really hope they make a movie just focusing on the Engineers and answer everyone's questions that pertain to who they are/were and where did they come from. Hello to David and Chris and to everyone else, you know who you are. We must remember that everything for the black goo and the first important statement that I should mention is that the black has its own memory and replicates all the biomechanics that originally contained it, by this I mean the silicon vessels! Base element of silicon. The process to become a deacon or a xenomorph has been seen in Prometheus and in the films of the saga. The Protomorph (I call it "Wood Alien!") Has this characteristic thanks to the black goo that only seek to assimilate some kind of life !, and the paradise offered only a vegetable kingdom! (You can clearly see the characteristics of the egg and the characteristics of the Protomorph or Alien of wood!). Scott did say there will be THREE new creatures. We've seen two. 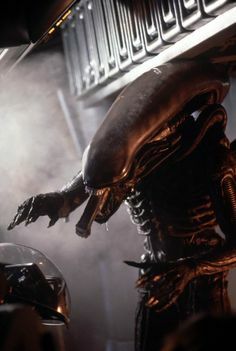 Honestly, to me this xeno looks as close to the original in Alien. Very HR Giger. Awesome! I love how the Protomorph has a very muscular look to it...you can clearly see its biceps, deltoids, and triceps...the human-like bodily structure adds to its overall creepiness. Chris, you nailed the description, too: animalistic and spastic movements are the perfect way to sum up the Protomorph. Each time it seems to become less and less Bio-Mechanical like the 1979 Big Chap. *Evolves/leads to down the line to become very similar or almost identical to the Xenomorph in Alien. However as with this image above... 1-5 are Proto-human, so if the Xenomorph is number 6 then end product and this Protomorph in the OT and Trailer is say 2-5 in the evolution then indeed it would be a Protomorph. But i guess anything that comes from the Black Goo is also Protomorph if we assume the Goo is older than those Eggs on the Derelict.. But then would we consider a Fish like Creature to be a Proto-human? Nope... so when talking about Proto-morph it has to be a chain that is a few Evolutionary steps away but similar just as the Ape to Human image i posted shows. As far as those reports... and the Tongue etc... i think this maybe is the description for the Neomorph? 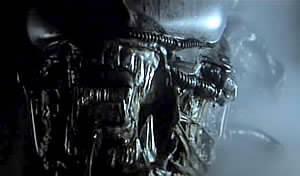 As other reports suggest there is a Anamatronic Head with Two sets of Teeth like the Xenomorph in the Alien Franchise. Makes me think they saw a Organism similar to the Deacon with a Tail which means its either the Neomorph... or indeed there could be other Xenomorph related Monsters? If you are looking for the inner jaw, just watch Prometheus movie and the mutated worm coming out of that scientist month. The original Xenomorph is like a puzzle. You must "connect" several creatures (humans as well-or an android) to be completed.